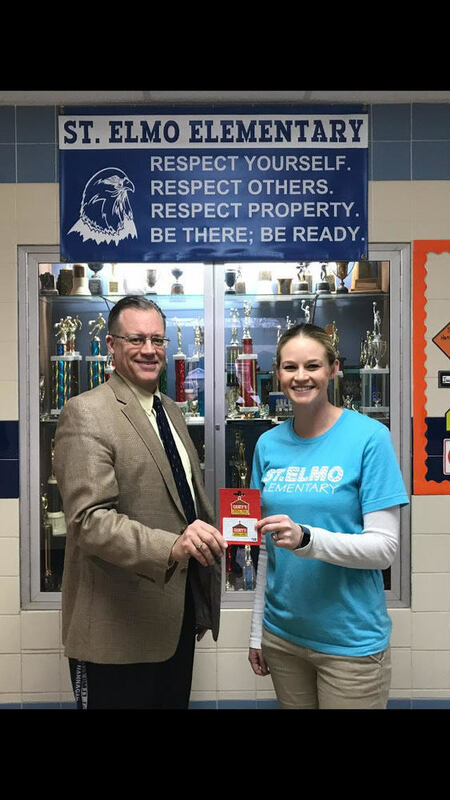 Michelle Miller is the winner of the random drawing for the January “staff member of the month” at St. Elmo CUSD #202. Michelle teaches 4th Grade at St. Elmo Elementary School. This is Mrs. Miller’s fifth year in the district. She previously worked at Vandalia Junior High School for 3 years and in Dayton, Ohio for 1 year as a Kindergarten teacher. When asked what she likes best about her job, she said that she enjoys being able to help students achieve their goals. She also stated that she enjoys all of the neat things that she learns from her students. Mrs. Miller’s hobbies include golfing, photography, and traveling. She and her husband, Caleb, have a 6-year old son, Lucas. He is a Kindergarten student at St. Elmo Elementary. In their spare time, they enjoy going to St. Elmo Golf Club to play golf together.